So to make sure you always have enough of this healthy body “X-factor” — we’ve put it into a delicious antioxidant-rich chocolate bar. 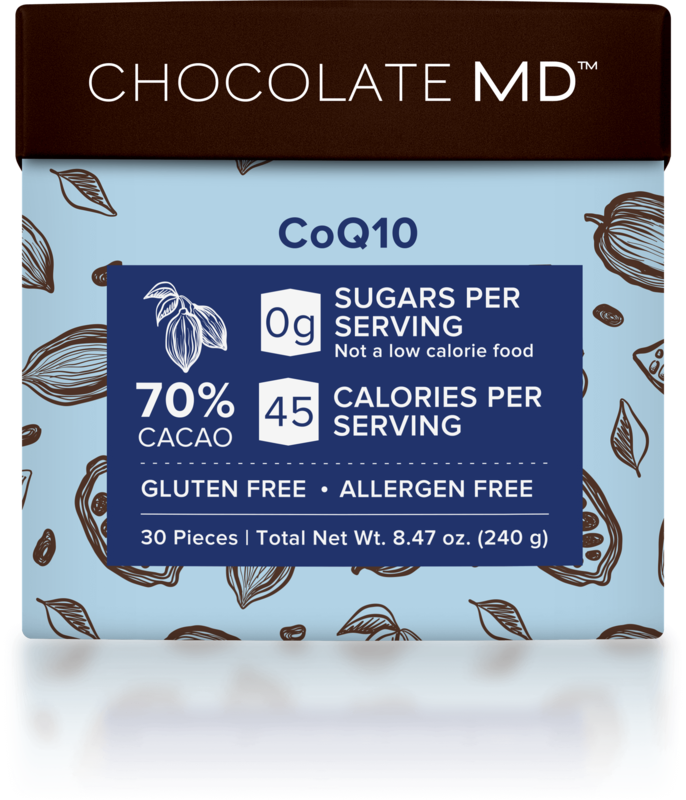 The Gundry MD lab created this delicious chocolate bar to address a very serious issue that many Americans face: Reduced CoQ10 levels. As your CoQ10 levels diminish — this can lead to a variety of issues that make you feel older and more tired. Fortunately, taking Chocolate MD CoQ10 can help replenish your natural supply of this vital antioxidant. Free radicals are dangerous toxins that invade your body, and hijack your cells up to 10,000 times a day.3 And as you get older, this number goes up. But it’s all not bad news. Because now you can protect your cells and actually reduce many of the most common signs of aging… thanks to CoQ10. And when that happens, you’ll feel physically and mentally recharged… with plenty of energy, stronger muscles, and a renewed sense of vitality! How many boxes of Chocolate MD CoQ10 should I order? The most popular order for new customers is the 2 box package, and that’s what I recommend to start with. However, because we have many repeat customers, we offer the 3 box package so you can take advantage of even deeper discounts. Remember: Each box comes with a full one-month supply of CoQ10 chocolates. What are the ingredients in Chocolate MD CoQ10? Is Chocolate MD CoQ10 safe for everyone? 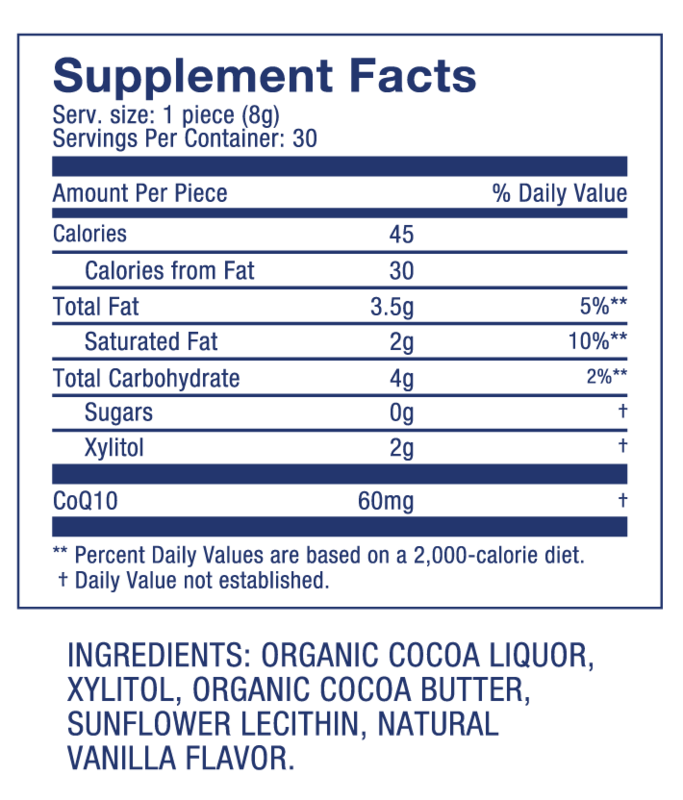 Chocolate MD CoQ10 Supplement contains only 100% natural and safe ingredients. The formula is tested for quality and purity at an independent, 3rd-party facility. However, as a physician, I recommend consulting with your own health care provider before beginning any new program. How do I use Chocolate MD CoQ10? All you have to do is simply eat one small CoQ10 filled chocolate bar each day — on a consistent basis. The formula digests easily so you can take it with or without a meal, whenever you’d like. And if it doesn’t work… is there a guarantee? As a physician, I know that individual bodies can react differently to the very same compounds. Even though everyone can benefit from the amazing antioxidants in this formula, I’m aware that results can vary. 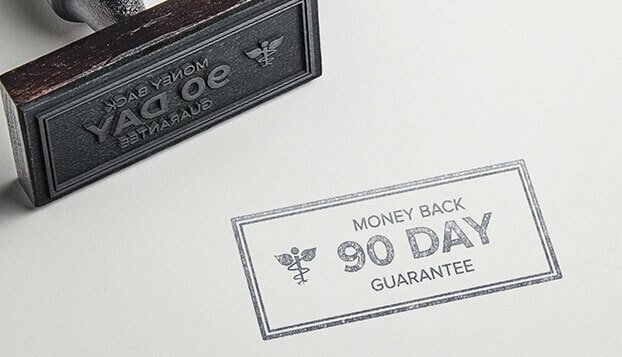 So, if you’re unsatisfied with this product for any reason whatsoever after a full 90 days of use, I’ll return your money, hassle-free…guaranteed. 3 Angier N. Free Radicals; The Price We Pay For Breathing. The New York Times. Apr 25, 1993. 4 Juan Garrido-Maraver, et al. Coenzyme Q10 Therapy. Mol Syndromol. 2014 Jul; 5(3-4): 187–197. Published online 2014 Mar 13.